Tap into the Energy of Crystals to Enhance Your Life! Crystal Energy Basics is an introduction to using crystals and stones in your life as energetic support. Historically crystals have been used for centuries, but in the current times, we are learning to use their energy not only for computers, cell phones, and other technologies, but as a spiritual tool for personal growth. As we seek alternative methods of healing and finding calm, clarity, or expansion in our lives, holistic healing methods have long tapped the energies of crystals. We can use them as a meditation tool, for peace and calming, for energizing our water, and most importantly, for our own emotional and spiritual expansion. And using crystals and stones can be in a grounded, practical manner (forget the over the top "woo woo" of waving a magic crystal wand around, it’s not happening here!) that works with your everyday life. Let’s dig in together to bring new awareness to your life. Crystal Energy Basics is structured simply in short lectures of information, starting with the nuts and bolts of the more technical aspects of using crystals moving up to the energetic properties of a selection of crystals. The course is self-paced for you to complete as quickly or as slowly as you need to for your life schedule. Want to see a preview? Click here for a sample on using crystals. This course is a excellent introduction to understanding how and why to use crystals and it gave me great tips on choosing the right crystals for using myself, and I also enjoyed the meditation at the end of this course. This is a fantastic class for beginners and also advanced, every crystal healer has insight that is fresh and new. Thank you Jennifer for doing this and I hope you would consider teaching an advanced certified class. Love & Light! I loved this little course! The information is well organized and pleasantly presented to the viewer. There is a lot of useful input from Jennifer's personal experience and I hope she will post here soon a more detailed second course on Crystal Therapy. Thank you! I will be available to personally answer your questions during this course. This course is available to everyone WORLDWIDE! You get LIFETIME ACCESS to this course, including any updates, as well as a community of hundreds of other like-minded students from around the world. Plus it's mobile friendly AND can be accessed via the Apple or Android app. If you are seeking new perspective or an alternative method for healing your emotions, changing your life, or simply looking to expand your knowledge, this course will provide insight and ideas on bringing crystal energy into your realm of living. Let's dig into the world of crystals together! This course is an investment of $95. And remember, it's lifetime access to all the video's, PDF downloads, meditations, and any new material that is added to the course! 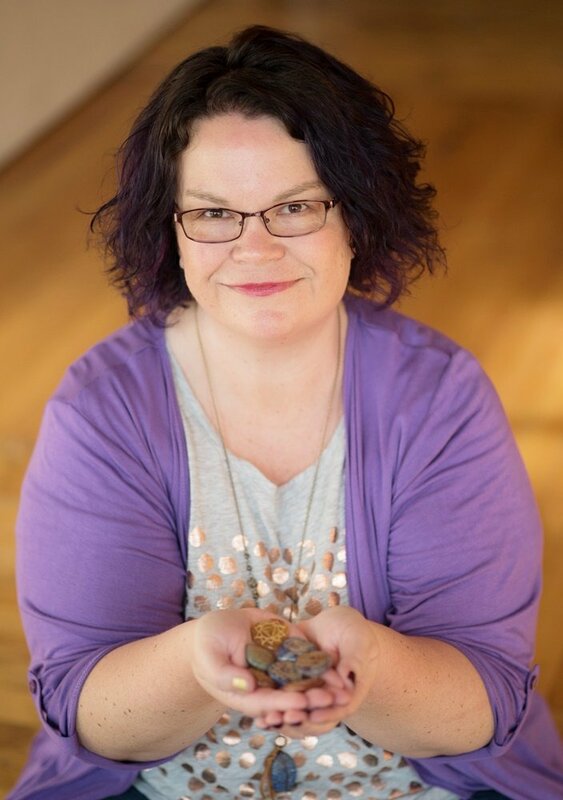 "Your instructor Jennifer Salness is a Crystal Intuitive, Reiki Master Teacher, and Sound Healer. Her passion for crystals and stones began at a young age and she has been working with them professionally for over 15 years. Through working with the crystals directly, she has developed her own style of teaching with practical, every day applications, and has a grounded and yet spiritually connected manner. She is certified in and has studied numerous holistic healing methods and has had a successful private healing practice for over 10 years. The mineral kingdom continues to amaze and teach her directly through experience. She has written for publications on crystals, has presented classes in person and online, presented workshops at expo's and events around the US, and been a guest on radio shows for many years. She is owner Crystalline Light, an online shop offering high quality and high energy crystals, stones, handcrafted Energetic Mists, gemstone jewelry, and other gifts. Jennifer has also been the founder of an online holistic magazine, event organizer, mentor for creative and soul businesses, and writer. Her core passion through all of her entrepreneurial endeavors is helping clients find crystal clarity in their life or business so they can move forward to create the life of their dreams!" Why not join the course today?